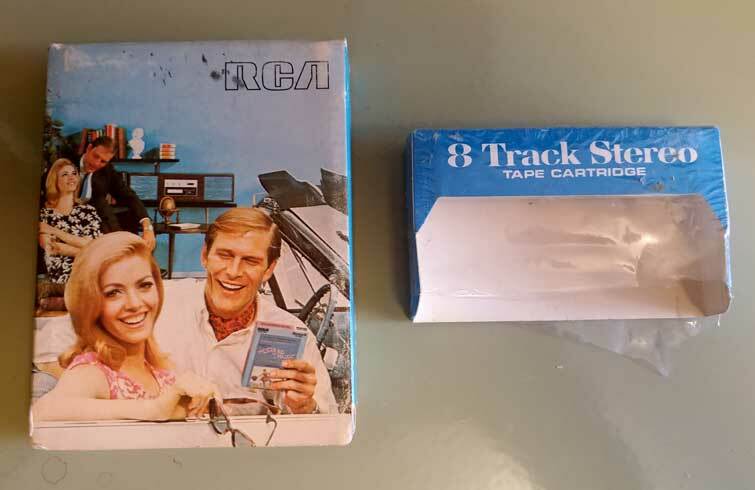 It' nice to know that the term "shrinkflation" applied to 8 track tapes back in the day too as you can see in these sleeves. The next step was those tape companies that just gave up and sold tapes shrinkwrapped like it was game over. 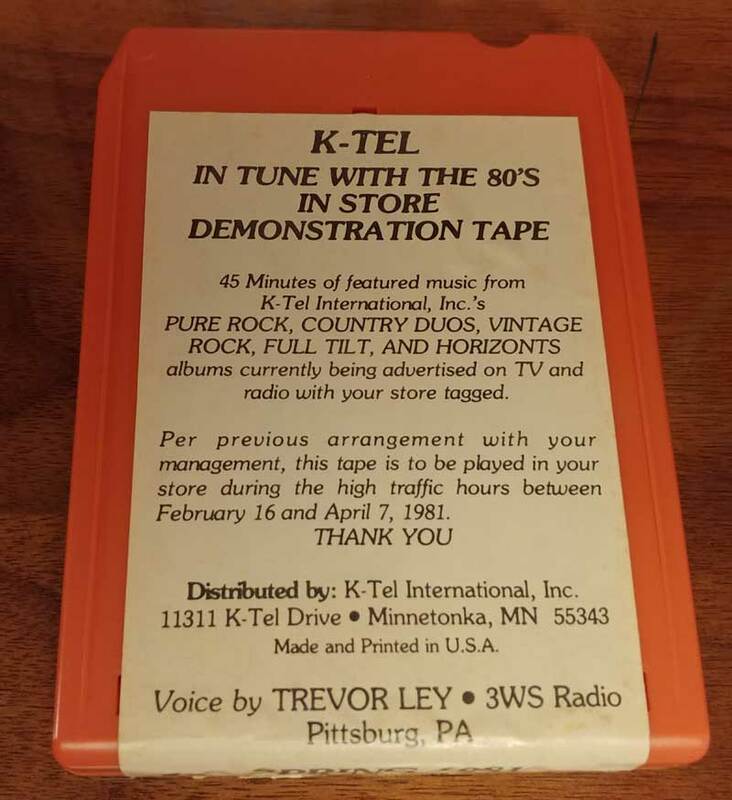 I picked up this K-tel in store demo on ebay that was once played in the store on an 8 track player, I like it because it's a compilation that is made from 5 different compilation tapes, I wonder what mulitverse it came from? 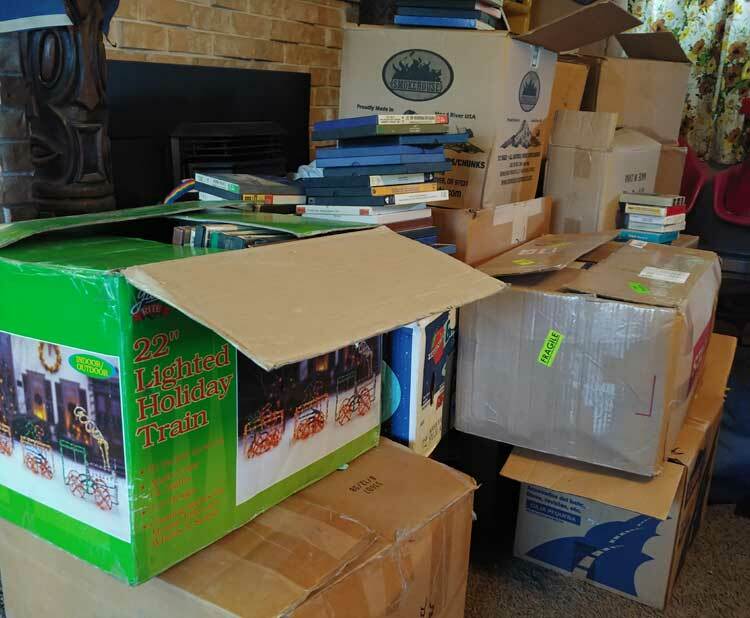 It's been a while since I got a big score and with only 2 sales all week I bucked the odds and found one from a house that was vacated several years until the owner’s son came by to unloaded the contents. 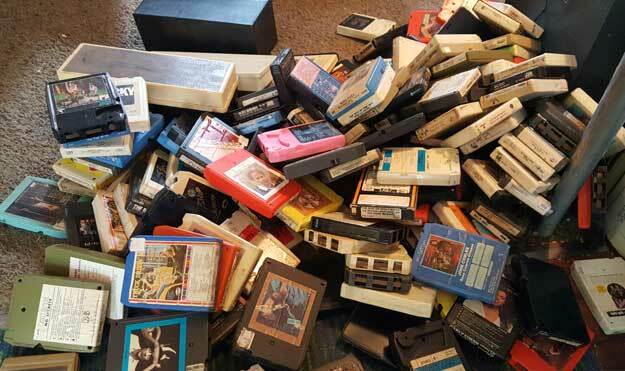 It was mostly garage items and furniture until I wandered into an anteroom filled with boxes and popped one open and found it filled with 8 tracks. The guy running the sale said I could have them all for $40 and I bought them sight unseen and am now the proud owner of 14 boxes of about a 60 40 ratio of reel to reel tapes and 8 track tapes, mostly of them are easy listening that I'll probably let go in lots but a few gems stood out like the soundtrack of Willy Wonka and The Planet of The Apes. I've been downsizing a lot lately, not the fine stock but duplicates and triplicates of such tapes as The Carpenters Greatest Hits and most of Neil Diamond's tapes, I sold about 100 of them to someone in Washington DC so I'm expecting some politician to make a speech soon saying "This system is about as outdated as 8 track tapes" and dumping them on the floor. I hope so. Last week reminded me of the early days of this blog when on any given weekend I'd come home with a mother load of tapes and spend most of the week with 20 tapes to listen to. It started at a sale with mostly household and car items but in the back of the garage were 8 medium boxes that said "8 tracks" on them and after a little negotiating I got them for a song that separated on to the next track ($23 actually) for 386 tapes, the guy who ran the sale said the tapes were there when he moved in and I think that will happen if I move on out of this house too. Of course I had to wade through about 90 country tapes and many copies of Carly Simon's Anticipation but found a few gems too like a unusual compilation titled Wild Thing on a label called Lakeshore Music, a few Duran Duran tapes I didn't have and two players hidden in one of the larger boxes. It's been a dry spell and this year I'm discovering that vinyl records have become a hot commodity at yard sale and even 8 tracks are getting notice, the days of strolling into sales an hour before they end and getting all the tapes for a buck may still be here but by that time there are no tapes to be found other than so much country and easy listening. At this rate I might be able to retire with my mortgage paid by Leo Sayers’ Thunder In My Heart cart. The sun was up this Saturday and this sale took advantage, most of it looked like one of those dank basement threw up in the backyard with most of the stuff looking like it wasn’t touched in decades and they even had a pretty decent sized electronic section, among the beta tapes, micro cassettes and ancient adapters. I found this caked it dirt and dust Lloyd’s 8 Track Player, after spending a half an hour with a toothpick removing the dirt from the nether regions it looked kind of sharp and futuristic. Then the tape test came and it had one of those cracklesque sound whenever you moved the volume control not being dissuaded I brought out an aerosol can of contact cleaner and now it sounds perfect. Never underestimate the power of toothpicks and sprays. you may have noticed this page looks pretty crappy, the site has been down a few days and this is what happens, too bad this player is just amazing and looks like an ipod that plays tapes. for the affordable price of $1500. And it's out of stock now, who bought it? I found this hi tech Akai player a few weeks ago that was sitting on another similar one and got the pair for $60 which is pretty high for a player but then I flipped the other one for the same $60 I paid so I figure it's free now, great sound and lots of fun buttons to press that stop it after it runs the cycle and a FF button. In creapy 8 track news someone listed a Charles Manson's Lie tape on ebay and the true crime buff that I am got estatic and was ready to go high on it but hours before Charlies passed away it vanished, who has it? Was it pulled, I'll never know, I hope another is listed but since I've never seen one for sale ever it might take another 20 years before one appears, I can wait. 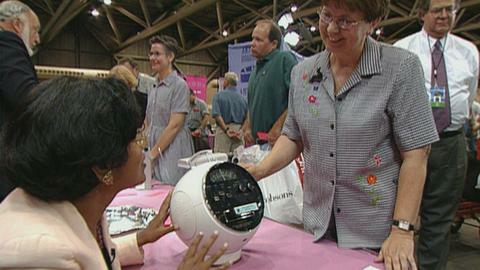 Anyone catch The Antique Roadshow last night? Someone brought in a Weltron Spacehelmet to get appraised, they go for $200 in great condition. 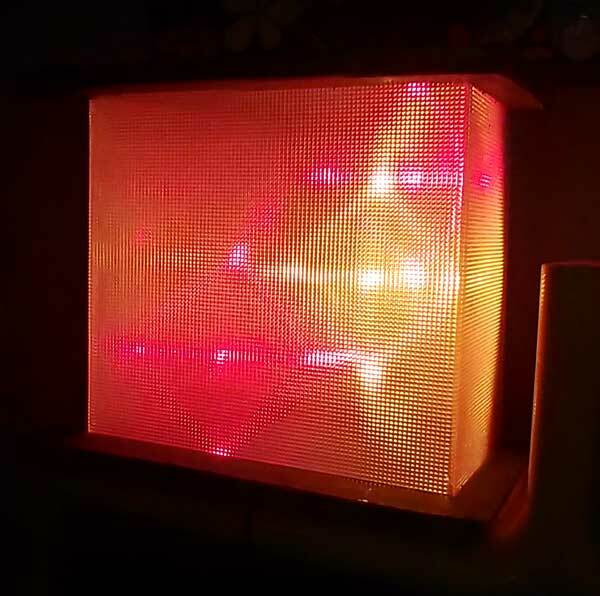 I've been hoping to see a spike in Ebay but you can still get them for around $150.00, Anyone remember the Weltron Robot that use to make rounds online in the early 2000s, who has it now?